I have always been a fan of xiao long bao, but I only had few good ones to date. 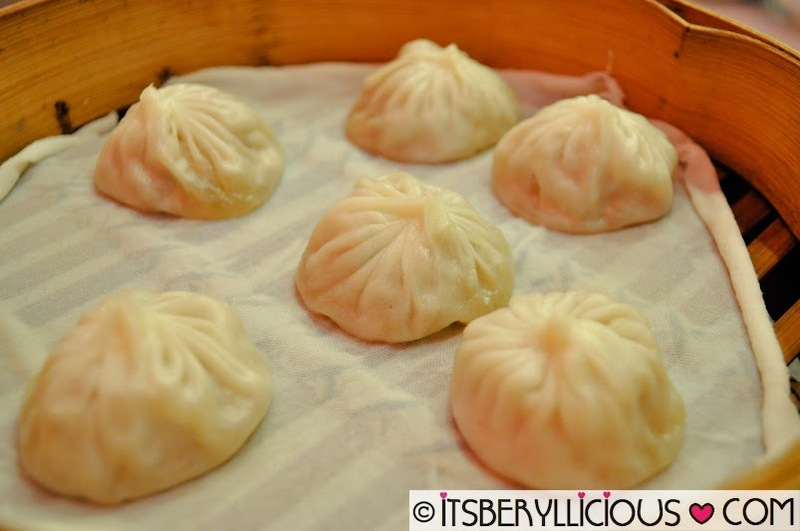 My ideal xiao long bao would be very soupy and flavorful with not too thick nor thin wrapper. It seems though that this combination is a rare find. 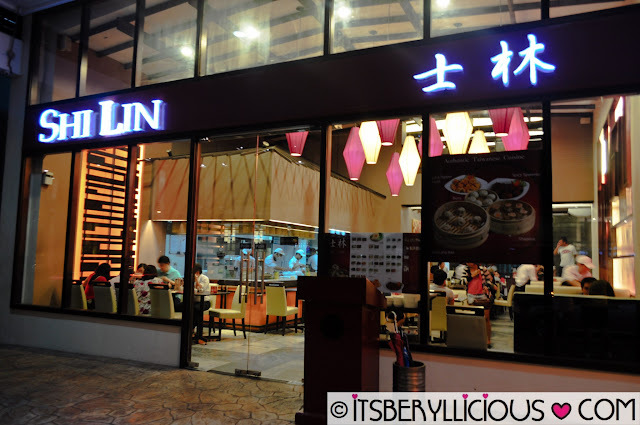 On our quest to find some good xiao long bao in the Metro, we found ourselves inside Shi Lin's Fort branch. 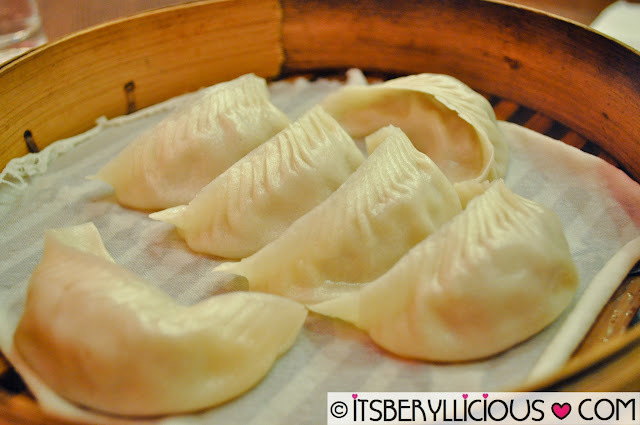 I've heard good reviews from friends and read positive feedback from blogs about Shi Lin's Xiao Long Bao. So we entered the place without hesitation to finally try their version. The Xiao Long Bao was served steaming hot on our table and the first thing I've noticed was the use of thin cloth underneath instead of the usual sheet of paper in other dimsum places. It actually prevented the dumplings from sticking onto the sheets and prevented its delicate skin from breaking. It was also interesting to find a guide on how to eat xiao long bao on each table. After trying it out, it was soupy and the skin was just right, however, it lacked the flavor. It wasn't too meaty either. 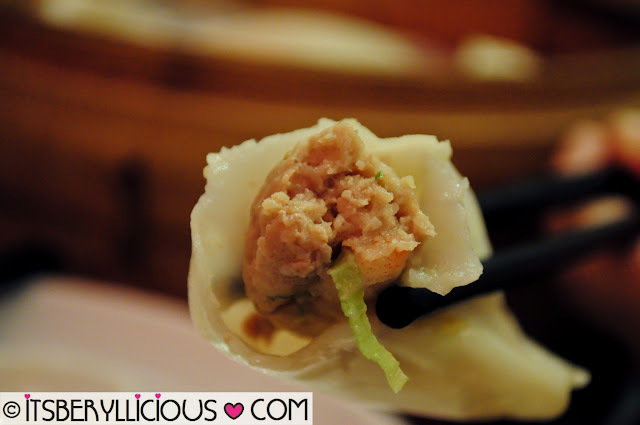 As for the Shrimp and Pork Dumpling, it was meatier than the Xiao Long Bao, but was still short of our expectations. It wasn't so bad but nothing exceptional either. Good thing all their dumplings were served fresh and steaming hot. Since we were not satisfied with what we had, we decided to order for desserts. 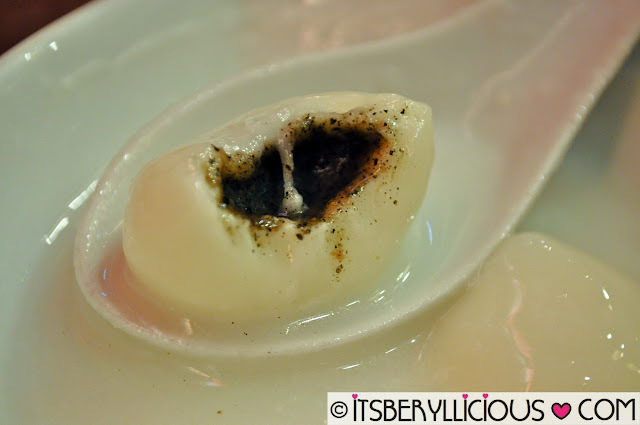 The Cool Almond Jelly w/ Lychee was D's choice. 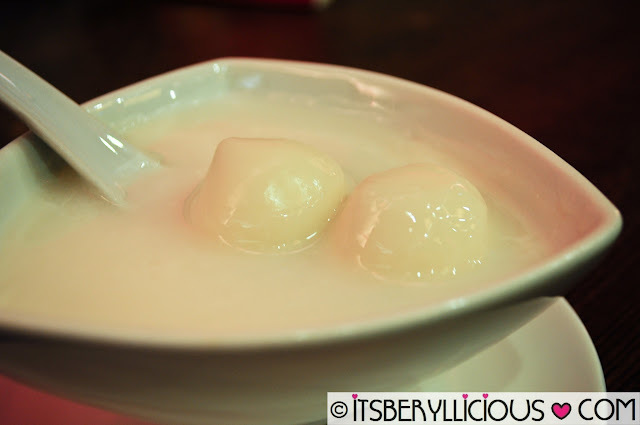 It is probably our default choice for desserts in Asian restaurants other than mango sago. The bowl was swept clean in an instant. Yes it was so good that one bowl was not enough. 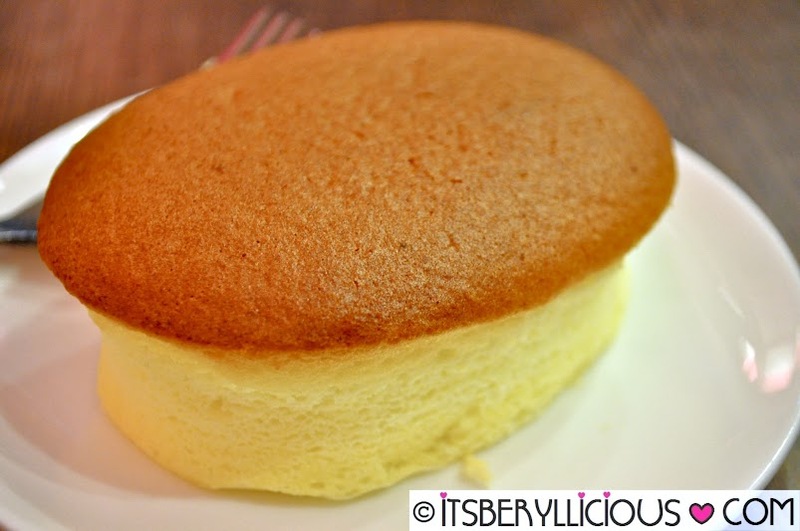 Being a cheesecake lover, I tried Shi Lin's Cheesecake. It wasn't the usual creamy cheesecake that I'm used to but I just wanted to try it out for myself. It was soft and fluffy just like mamon. It has a little hint of cheese flavor, however it would be better if it was cheesier. We were still craving for the Cool Almond Jelly but decided to order a hot alternative- the Hot Almond Cream w/ Sesame Balls. After a few spoonfuls, we both regretted not ordering the previous one. It was good but it was just not our cup of tea. The sesame balls were pretty ok but we found the coating too thick and heavy to eat. 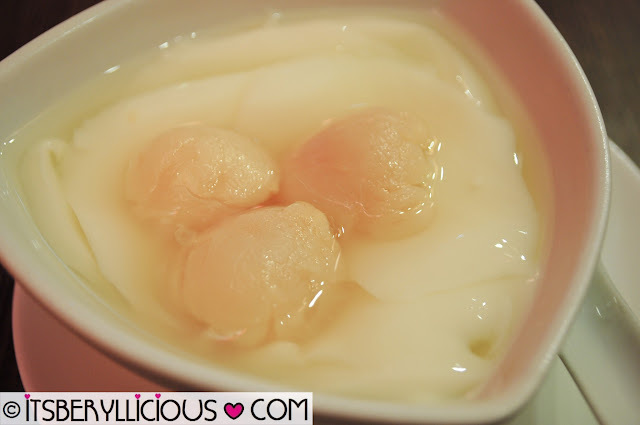 I would not mind going back to Shi Lin for their Cool Almond Jelly 'cause it is really good. However, I think I'll have to stick to my favorite xiao long bao place for my dose of the soupy dumplings. G/F Commercenter Bldg. 4th Ave. cor. parang mas interested ako with desserts!